A mother-of-pearl button, decorated with an incised and gilt eight-pointed star, with a central faceted amber glass stone surrounded by a circle of gold and red sequins. 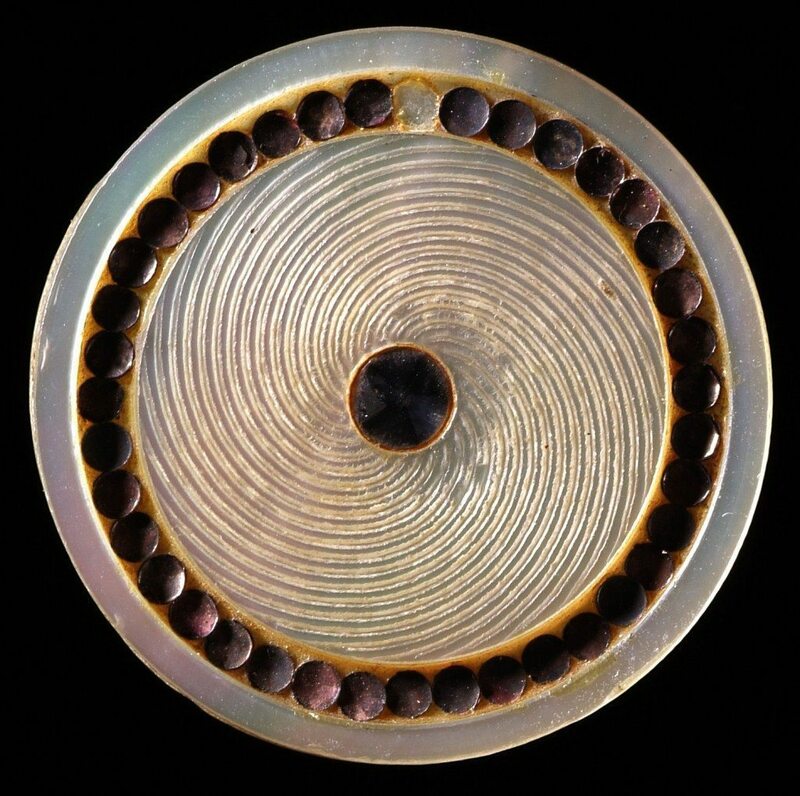 The outer section of the button is engraved with concentric circles. This button was created c 1795 and has a drilled brass swaged-in shank.